WFP Law is a Fort Lauderdale based law firm, serving all of Florida including Broward, Palm Beach and Miami-Dade Counties. We assist our clients in the areas of estate planning, asset protection, probate administration and wealth transfer. The estate planning and wealth transfer techniques implemented by our attorneys allow our clients to live on long after they die. While that may sound like an utterance of Yogi Berra, the fact remains that a combination of Florida Revocable Trusts and Irrevocable Trusts, Family Limited Partnerships, Limited Liability Companies and other advanced estate planning tools help our clients to avoid probate, limit or eliminate estate tax burdens and see to it that their legacy lives on for sometimes hundreds of years. Less than half of all residents in Broward, Palm Beach and Miami-Dade Counties have even a basic Florida Will in place. Estate planning is very rarely about the money. While our South Florida estate planning attorneys have the knowledge and experience to provide the highest level of estate tax planning, our firm aims to shed the tax attorney paradigm and focus instead on the dynamic relationships between our clients and their loved ones. WFP Law realizes that estate planning is truly for the loved ones that we leave behind. Florida Probate is inevitable and must be attended to as quickly as possible. Something as personal as the death of a loved one deserves the personal attention of your attorney. 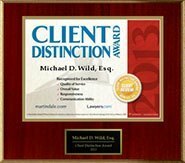 Retaining our Ft. Lauderdale based probate law firm for representation in any of Florida’s counties can mitigate the harsh effects of probate and facilitate a smoother ride through the probate administration process, while also providing the advocacy and personal touch not found at larger firms. shielding your assets from current and potential creditors while you are alive; the South Florida attorneys of WFP Law have as our primary mission the Protection of your Wealth and Family, especially When Legacy Matters.